A White Ibis is nearly perfectly reflected in the calm waters of Ding Darling National Wildlife Refuge at sunrise. 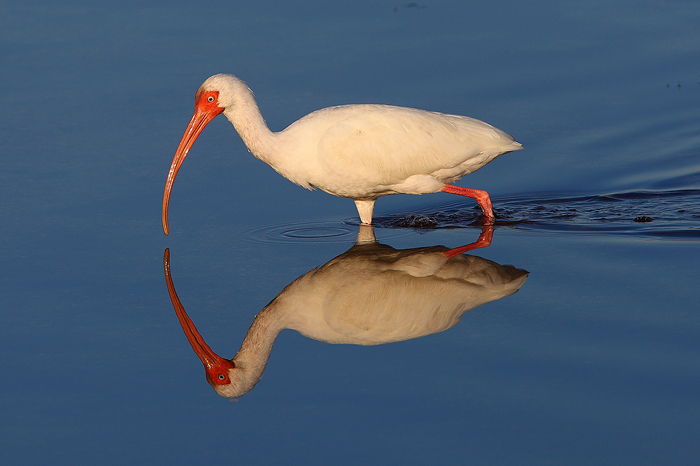 The white ibis feeds by probing the ground with its long downcurved beak. Looking for anything from fish to insects.